HCI brings cost savings and scalability to compute, storage and networking functions. Scalability. HCI scales to an organization’s needs instead of forcing organizations to adapt to the capacity of their current technology platform. High availability. HCI allows organizations to improve fault tolerance by adding a layer of high availability. Organizations can leverage redundancy to isolate workloads from the impact of failed computing nodes and storage devices. Fast deployment. HCI environments allow organizations to deploy additional storage and computing capacity in the proportions demanded by business workloads. Flexibility. Hyperconvergence allows tech teams to meet dynamically changing business requirements for IT resources by shifting resources between workloads on a just-in-time basis. Why CDW Hyperconverged Infrastructure Services? From virtualizing servers to developing a Hyperconverged Infrastructure (HCI), CDW can help assess and manage your HCI strategy. Our HCI managed services experts can assist with setup and configuration of your upgraded hyperconverged infrastructure. CDW can help update and deploy your hyperconverged infrastructure. As a data center runs hotter, it is imperative to balance performance with higher cooling costs and potential downtime. At CDW, we can build a solution that fits your infrastructure needs. Increased resiliency. Power and cooling technologies can help you identify potential disruptions, prevent damaging downtime and keep your data center running even if disaster strikes. Improved visibility and utilization. The management system in a chosen solution can provide insights into operational costs that go beyond power and cooling. You may discover a need for more dynamic data center equipment or design a better power plan based on usage. Reduced costs. A plan that maximizes the efficiency of your resource usage can help you reduce the considerable costs of powering and cooling your data center. Maximized infrastructure flexibility. The modular nature of a well-designed power and cooling solution will facilitate future scalability as your organization grows. Shop cooling hardware for a variety of cabinets and enclosures. Why CDW Data Center Power and Cooling Services? Our power and cooling experts can help you assess and design a plan of action to fit your needs. We can also provide the services required to install and manage your power and cooling equipment. Our experts can help determine the proper power and cooling hardware for your server room. Although cloud-based infrastructure is ubiquitous, there are advantages to keeping a server room on premise. Small businesses may prefer to keep their hardware in-house for greater oversight of security, data backups and maintenance. Here are some tips to help get your server room up and running. Use rack-mounted servers. Many new businesses store their servers wherever they have space, piling them on desks or shelves, but this can damage equipment. Instead, buy rack-mountable servers and store in a well-ventilated place to protect your hardware. Stay cool. Storing servers and networking equipment in a confined space can increase power costs and even damage equipment. Be sure to use rack cooling fans and air conditioners alongside ample ventilation to protect your investment. Maximize your server budget. Small businesses with less than 10 employees may consider a budget-friendly network attached storage (NAS) server. Easy to operate, these severs provide basic backup, file sharing and remote-access capabilities. Get organized. It’s easy for a server room to become a tangle of Ethernet cables, and performing basic maintenance or fixes is complicated by unlabeled equipment. Invest in a patch panel and cable ties to keep wires under control, and label each rack or server with descriptive names and IP addresses. Dell, HPE and other industry leaders. Shop rack-mountable ethernet switches from Cisco, Extreme Networks and more. 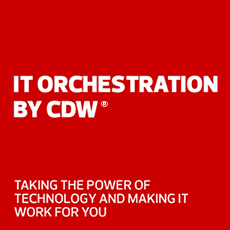 Why CDW Data Center Server Services? Our experts can help assess your server room and design a plan to fit your needs. We can also help you install and manage your new data center equipment. Our experts can help with your server environment. Our experts can help design the right solution for your server environment.